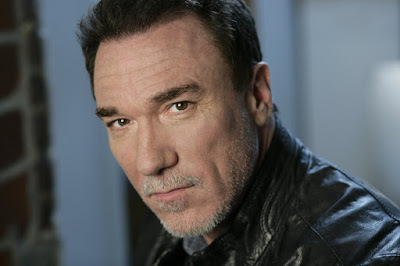 Actor PATRICK PAGE has been dazzling Broadway and regional theatre audiences for many years playing original roles in The Lion King, Beauty and the Beast, How the Grinch Stole Christmas, Spider Man, and The Hunchback of Notre Dame among many others. He has also had an extensive career playing Shakespeare. 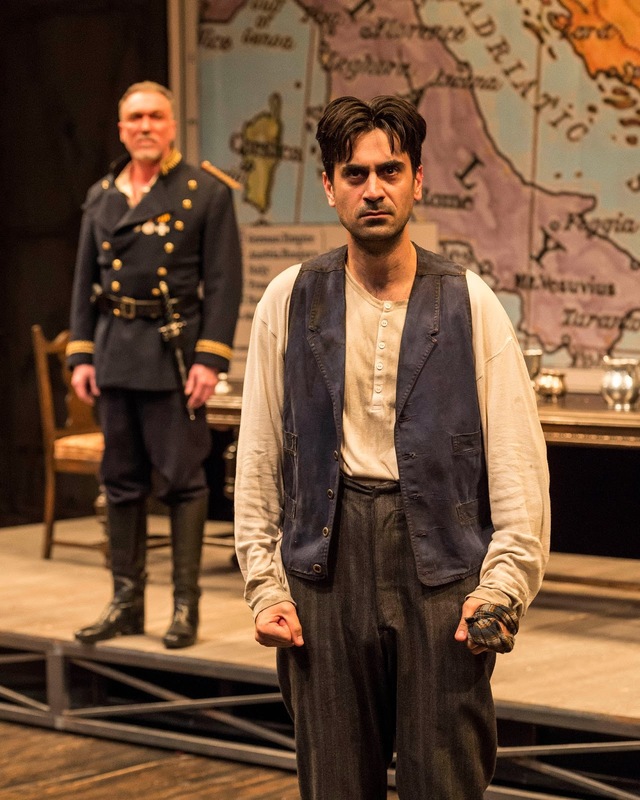 Now at the Mark Taper Forum, he has just opened in a world premiere play entitled ARCHDUKE about the events leading up to WWI. In our talk he shares his feelings about the play and proclaims his favorite role to date. Patrick, tell us a little about your role in Archduke and the challenges of playing him. MY ROLE IS CAPTAIN DRAGUTIN DIMITRIJEVIC. HE WAS THE LEADER OF THE “BLACK HAND” MOVEMENT THAT ORGANIZED THE ASSASINATION OF ARCHDUKE FERDINAND. I TRULY BELIVE RAJIV JOSEPH HAS WRITTEN ONE OF THE GREATEST ROLES OF THE MODERN AMERICAN THEATER. WHETHER I CAN DO JUSTICE TO IT IS ANOTHER QUESTION ENTIRELY. BUT THE ROLE IS COMPLEX, FUNNY, TERRIFYING AND TRAGIC. You tend to play villains exceedingly well. Fun for the actor, correct? Talk about this. VILLAINS HAVE EXTREMELY HIGH STAKES - USUALLY LIFE OR DEATH - AND ARE OFTEN THE SMARTEST AND WITTIEST PEOPLE IN THE ROOM. THEY ALSO HAVE EXPERIENCED TRAUMA WHICH HAS MADE THEM THE WAY THEY ARE. THIS IS AN IRRESISTIBLE COCKTAIL FOR AN ACTOR. I'm thinking of The Hunchback right now. You were so wonderful in the La Jolla production. Has anything ever been said about going to Broadway with it? It's such a beautiful piece. THANK YOU. WE ALL LOVED THAT SHOW. I THINK IT WOULD HAVE DONE WELL ON BROADWAY, BUT I AM NOT A PRODUCER AND, PERHAPS, THE NUMBERS DID NOT ADD UP. CERTAINLY, THE ARTISTIC QUALITY OF THE PIECE WOULD HAVE HELD ITS OWN IN NEW YORK. THIS SOUNDS CLICHE, BUT MY FAVORITE ROLE IS THE ONE I AM PLAYING NOW. WHEN YOU SEE ARCHDUKE YO WILL UNDERSTAND WHAT I MEAN! RAJIV HAS WRITTEN AN EXTRAORDINARY CHARACTER! Who is your favorite composer? Do you have a favorite musical? I WOULDN’T DARE NAME A FAVORITE COMPOSER FOR FEAR OF OFFENDING OTHERS. BUT, TRUTH BE TOLD, THERE IS NO WAY TO PICK. THE THRILL OF WORKING WITH BONO AND THE EDGE ON SPIDER-MAN IS EQUAL TO THE JOY OF WORKING WITH ALAN MENKEN ON HUNCHBACK, BEAUTY AND THE BEAST AND A CHRISTMAS CAROL. EQUALLY, HAVING MEL MARVIN SING “ONE OF A KIND” FOR ME WHILE I WAS PREPARING THE GRINCH IS ONE OF THE HIGHLIGHTS OF MY LIFE. MY JAW HAS DROPPED WATCHING ADAM GUETTEL, ANAIS MITCHELL, MARK HOLLMAN, AND SO MANY OTHERS. IT’S ALL MAGIC TO ME. Is there a role you would love to play in the future? Why is this so special to you? I WOULD LOVE TO PLAY MY CURRENT ROLE (DRAGUTIN (APIS) DIMITRIJEVIC) IN NEW YORK. I THINK THEY WOULD DIG IT. Back to Archduke. What is the message and what do you as an actor hope audiences will take away from the play? I HOPE AUDIENCES WILL BEGIN TO QUESTION HOW HUMILIATION, HUNGER, OPPRESSION AND SHAME CAN LEAD TO VIOLENCE. THIS IS A PLAY ABOUT HOW PEOPLE BECOME RADICALIZED. IT IS SO CURRENT AND SO IMPORTANT. I'm realizing this is a nonmusical. This is your first straight play in a while, correct? Do you prefer a musical and the chance to sing as well as act? ACTUALLY MY LAST COUPLE OF SHOWS HAVE BEEN NON-MUSICAL. THE TEMPEST FOR THE SHAKESPEARE THEATER IN DC AND CORIOLANUS FOR RED BULL THEATER AT THE BARROW STREET OFF-BROADWAY. I CONSIDER MYSELF LUCKY THAT I AM ALLOWED TO WORK IN BOTH GENRES.